There’s only one of three reasons why you clicked this article: either you’re an influencer, you’re a brand, or you’re just really nosey. Ha! I humbly welcome the audience of all three, because with all the negative press the influencer industry has been getting lately, I thought I’d chime in with some thoughts to hopefully balance out the conversation and add some perspective to both sides. Though, I have to put a disclaimer and say this will likely get sassy. It’s not my intention, it’s just my second language and I apologize for nothing. I also want to preface by saying I’m not here to name drop on the frauds in the travel space. Their work [or lack thereof, rather] will speak for itself. There’s a reason why the turnover rate in the travel blogging community is only 6-9 months. The number of people who get into this career for the perks alone are what have tainted the legitimacy of bloggers today. Most recently, a Singaporean photographer was exposed for buying stock footage and photoshopping himself into the photos. 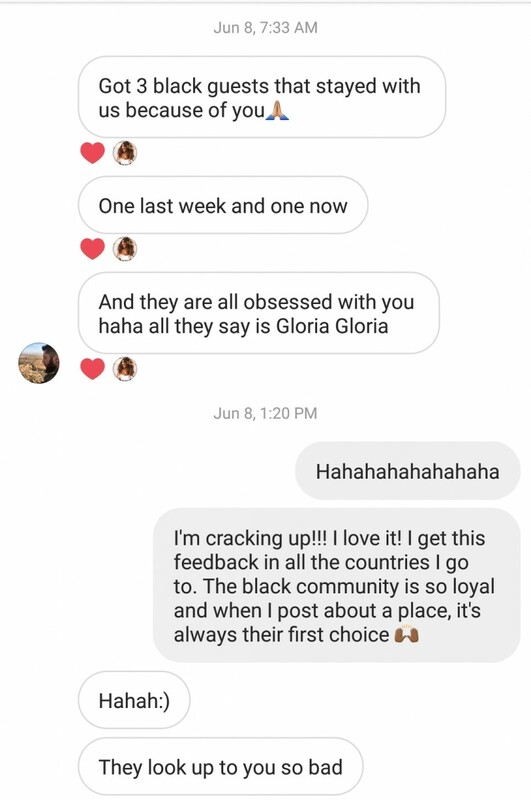 He’s since deleted (or probably archived) his entire gallery and now only has up a black image with an apology in the caption, while the comments are turned off so that he doesn’t have to face the backlash from the 100,000+ followers he misled. People slide into my DMs daily asking for contacts of who can help them “travel for free” and whenever they mention their motive upfront like that, I know that they’re the exact thing tainting this industry, because travel blogging isn’t supposed to be about freeloading or sponsors funding your dream life. It’s about creating inspiring content, telling powerful stories, and bridging the gap of humanity between your audience and countries around the world. But despite all the subpar talent crowding this space, I can still confidently say that influencer marketing is truly the way of the future. Entire social media platforms are being reconstructed with one person in mind — and it’s not the consumer. It’s the CREATORS. Just look at Instagram’s new #IGTV feature! Think about it — creators are the new media. In a world where we no longer want or need to rely on big-wig television stations to broadcast and spoonfeed us information, we’re going out there and creating our own for our respective audiences to consume. It’s a powerful form of marketing, and when done right, it works. 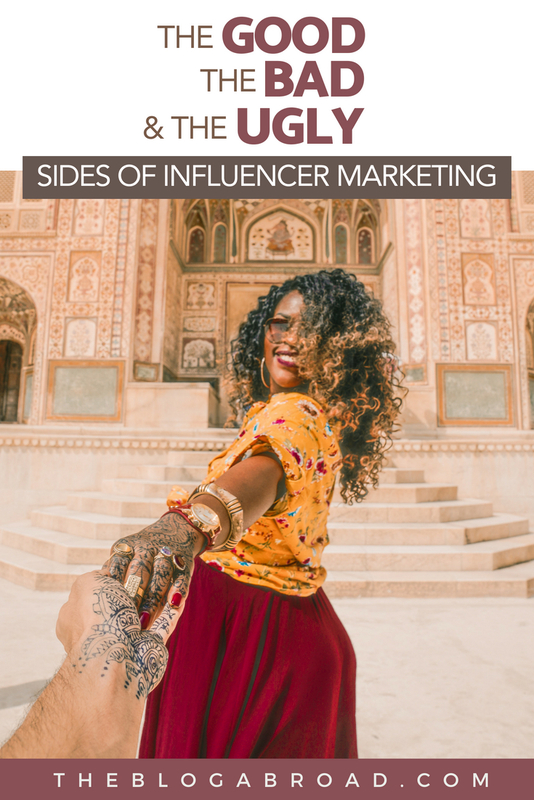 But as someone who makes a living from this convoluted influencer world, and corresponds with several travel bloggers, travel brands, tourism boards, and agencies within the realm of influencer marketing, I wanted to relay some unspoken truths and observations that might add a different perspective to this conversation. Here’s what a normal, organic page’s stats should look like. 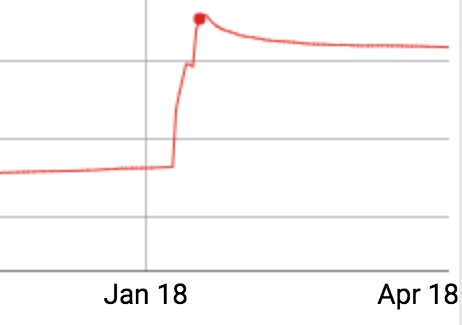 Steady growth, no random negative deficits of followers by the hundreds, and a small jump in followers because their photos likely get reposted several times throughout the week. Though stats haven’t been updated since April, the relevance of this site remains. Imagine casually browsing an influencer’s page one day, commenting on their photos, and catching up on their travels. Then imagine doing the same thing a couple days later, except their follower count has just jumped 50,000, while their engagement (number of likes) remain the same. Awwwwkward. Honestly, I lose a little respect for them, but I never confront them about it. I think the need to fake your influence comes from insecurity and/or a lack of skill sets. Anyone who is confident in their talent, doesn’t mind the slow and steady journey towards success. If you follow a bunch of top influencers as an aspiring influencer yourself, and all you feel is jealousy and envy rather than inspiration, then those aren’t the kind of people you want to follow, and they are likely what pushed you over the edge to buy your way towards “instafame” instead. And you’d be surprised who is amongst this group — a lot of your insta faves. People who I thought had the most integrity in this industry, or at least had enough talent to where that wasn’t necessary, fell for the romanticized elevator success, while the rest of us took the stairs. Again, this post isn’t about name-dropping, so I’ll allow you all to go snoop on your favorite influencers yourself. 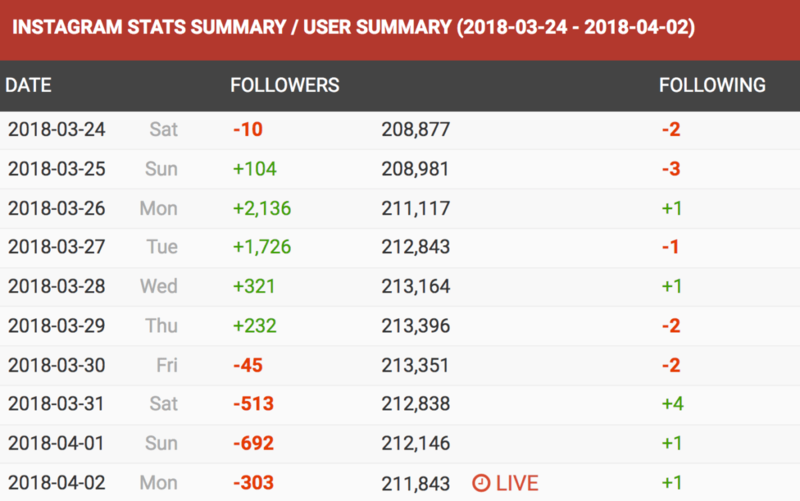 Social Blade is a fake influencer’s worst nightmare, because anyone who has bots or fake followers can be exposed in seconds. 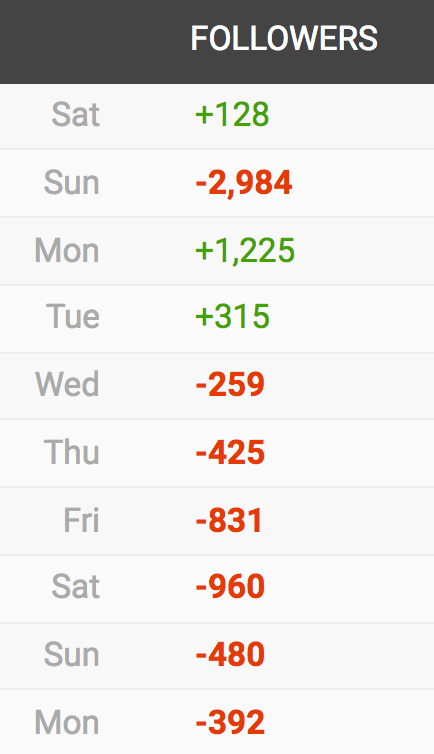 It’s going to be exhausting to keep up with the constant inflating of your numbers because of these bot accounts that constantly disappear by the day. 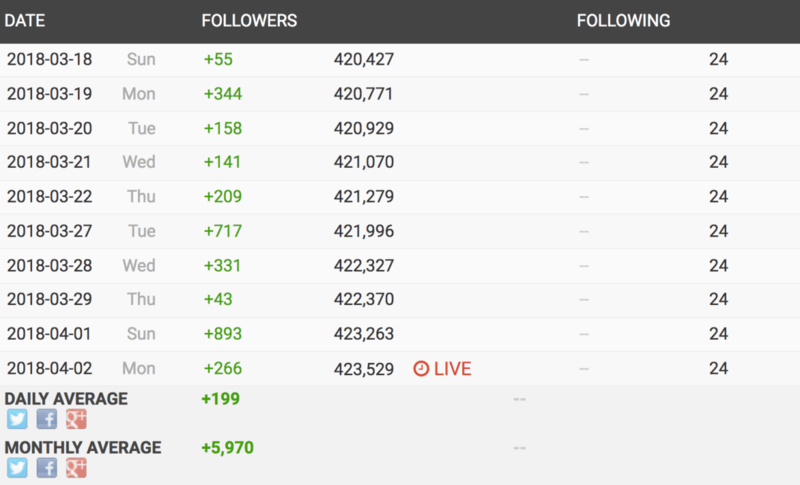 And when Instagram does a mass purging of ghost followers, they’ll look pretty silly going from 100K to 50K overnight. People can now buy 90% of their followers and build a course on how to be “instafamous”. Every other day there’s a new pretty face and skinny body toted across my Facebook feed romanticizing the idea of how easy being an Instagram Influencer is. Don’t fall for it. If you’re an aspiring blogger, trust in your content to take you to the next level. Please understand that if you try to take shortcuts in this industry, you’ll get cut short. The above photo is a shot from a collaboration, but there are people that will post similar content and pretend that the brand paid for it when they didn’t. Most influencers find it annoying that the FTC (Federal Trade Commission) make us disclose partnerships in our posts when we are paid by a brand to promote it. You’ll typically see the words #ad #sponsored or #spon in our collaboration posts which basically means HI, I WAS PAID TO POST THIS, BUT ALL THOUGHTS/OPINIONS ARE MY OWN! At least they’re supposed to be. Those rules are in place because the FTC is about consumer protection and promotes honest business practices that negate room for coercive monopoly. 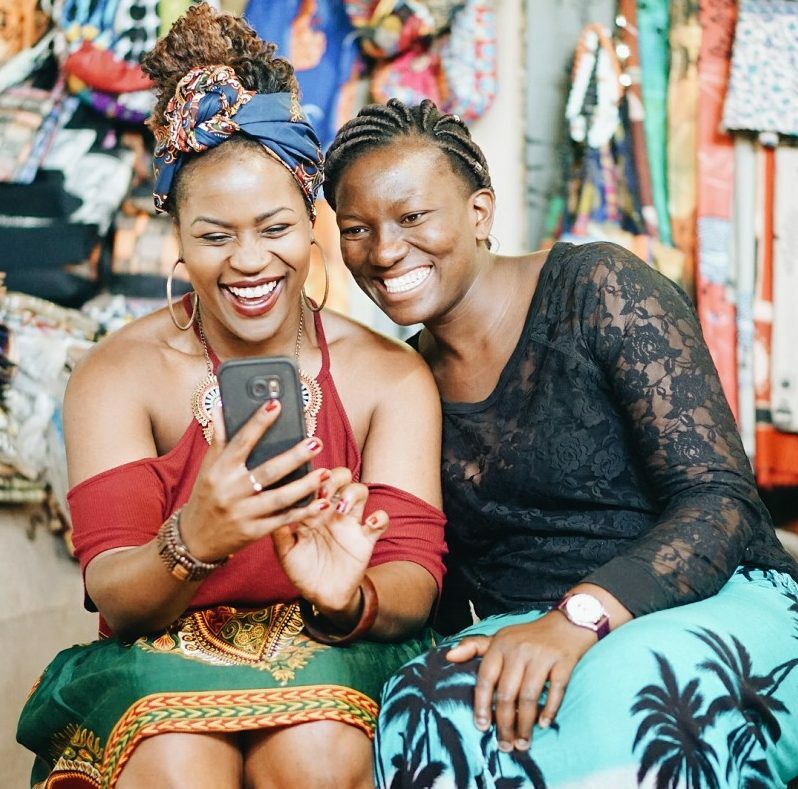 Though social media often penalizes us (shows the content to less of our audience) when we use those hashtags since they know we’re making money off their platform, fake influencers, especially in the beauty and fashion world, will go to a store, buy an entire outfit, take a picture in it, then tag the brand as if they were gifted it. It’s like, girl, I watched you buy all those clothes on your Snapchat story because you said you wanted to hashtag, treat ‘cho self. Who are you fooling with your 2,000 followers from India? At any rate, I unfollow people who make a habit of doing this, because this industry is a desert of desperation at times. The concept of illusion and appearing like you’re sponsored by a brand when you’re not, are the latest ego-boosters from the fake influencer world. Agencies, or the middlemen, can be the best and worst thing for brands and influencers. For brands, they take a big load off their shoulders because the agencies have built influencer relationships over time and can easily filter through the fakes. So if a brand needs the best 10 bloggers in X niche, the agency likely has a long list of their go-to people who have receipts of great ROI (return on investment). On the flip side, the brand might have $100,000 to divvy up between 20 travel influencers, but because they use an agency, the agency will then craft the pitch and tell the 20 influencers that they have a $2,500 opportunity, meanwhile they pocket the other $50,000 for themselves. The average blogger/influencer doesn’t negotiate or make counter offers. Oftentimes we get so caught up in these “once-in-a-lifetime” opportunities, that we talk ourselves out of countering any offers and just accept whatever we are told. The largest financial institution in America used an agency for a travel influencer collaboration and that agency expected me to accept their extremely low rate, just because of the name of the brand attached to the collaboration. I looked up the brands’ net worth and knew immediately that the agency was pocketing at least 80% of the budget they were given. I told them my rates and they aggressively pleaded that I accommodate the budget they were “given” because the brand was really excited to work with me. I told them if that were the case then it’s never a matter of having the money; it’s a matter of finding or reallocating it. If there’s someone you want, and you value their platform, you’ll find a way to compensate them accordingly. Especially if said company is worth several million. The money is on the table, but the amount of the pie you earn is completely up to your negotiating skills. This doesn’t make agencies evil. They have to eat too. But some can get quite greedy and deceptive when it comes to paying influencers the amount a brand offers. 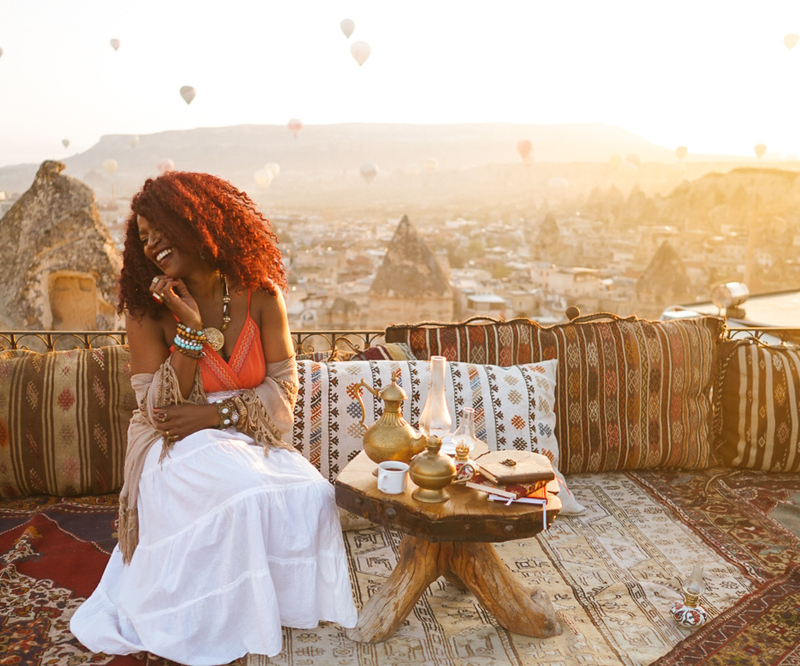 It’s for this reason I prefer working directly with brands, but some of my biggest collaborations with household names in the travel industry have come through agencies, because they have the money to leverage and delegate to others to do their marketing for them. 4. 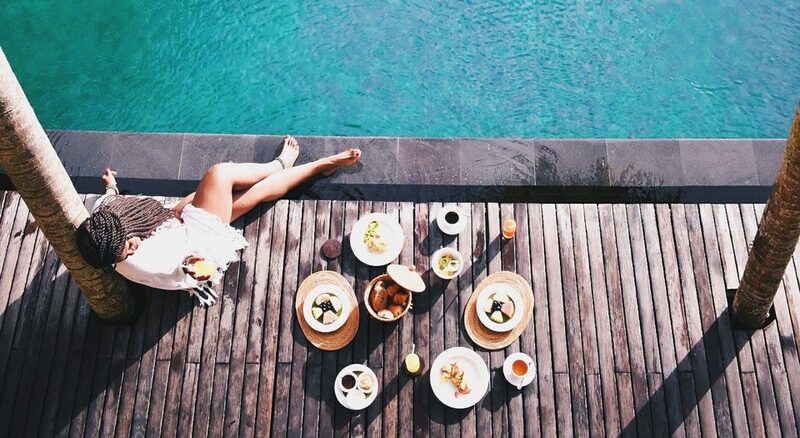 Stop pretending like pretty photos don’t inspire plane tickets. They do. There’s always a petty argument amongst bloggers and influencers about what a “real traveler” looks like. 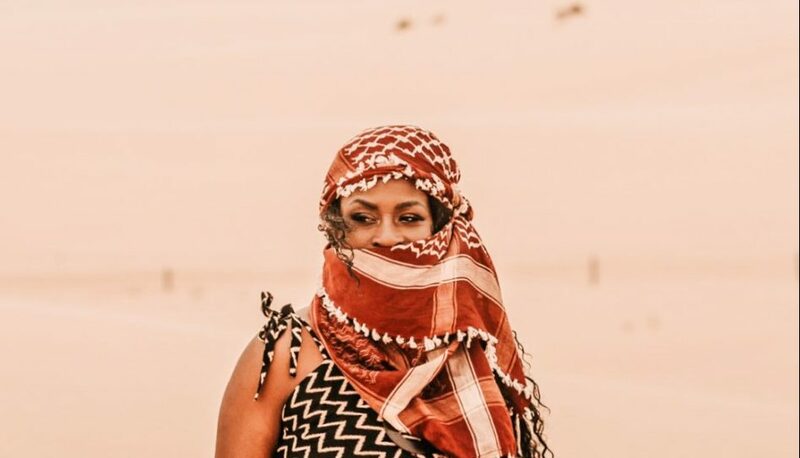 I wrote an open letter to girls who love their flowing skirts and big hats and encouraged them to keep wearing whatever the heck they wanted on their trips. A fancy dress in an exotic destination doesn’t invalidate the story or the experience of the traveler. A girl who hikes, backpacks, or camps shouldn’t be scolded for not looking feminine enough either. There is no one right way to travel, and I hate the unnecessary argument around this. I will twirl this sessy @%$ dress from Albania to Alaska and you will deal, mmk? Because beyond the twirls, I’m eating in locals’ home, dancing with them on the streets, and constantly throwing myself into situations that provide culture shock in its best and purest form. And I write stories in the form of Instagram captions when I talk about it. That’s how I travel. And if you’re mad that I want to do it for the ‘gram on top of that, maybe find a better-paying hobby? 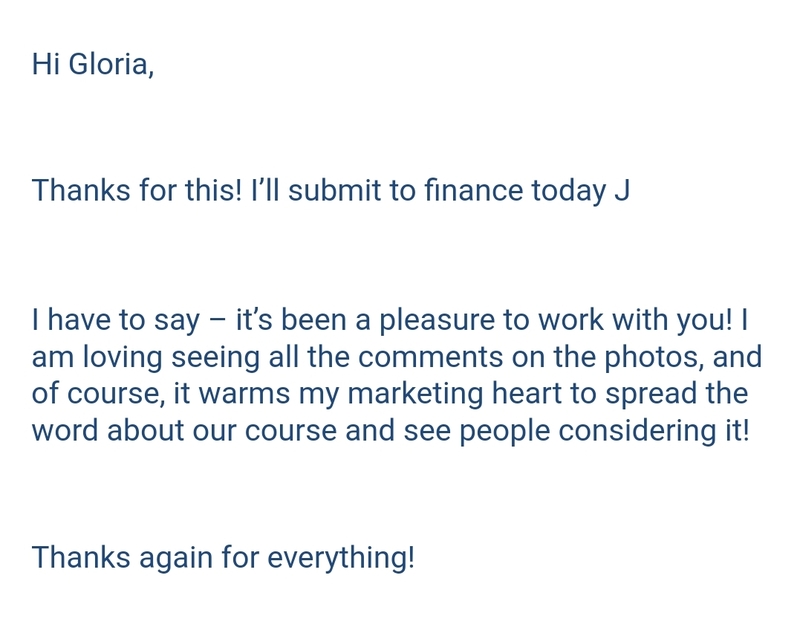 The amount of messages I get saying my photo inspired a trip, a passport, or a dream, is enough to know that photography sells destinations at a higher rate than most like to admit. I purposely place myself in photos because it’s a great keepsake for my future, and so that other people can imagine themselves in the photo too. When I first started traveling, I used to hate being in my own shots, until I began to realize the power of it. I also wrote this post a couple years ago helping people take the most stunning travel photos possible. It’s so hard to want to network or meet new bloggers, because of how many will take any and every opportunity to ask you for as many handouts as they can squeeze into a sentence. There are people who lie about their association with a company just to get your media kit, copy your design, or try and get as much insight about how you run as a business, while appearing to just want to “help” you out. What’s an email I can pitch? Can you recommend me to them? Can I take, take, take and do zero work in return??? The last question is the only exaggeration. The amount of bloggers who mooch their way into gigs and befriend people solely for the intention of DM’ing their life away is insane. 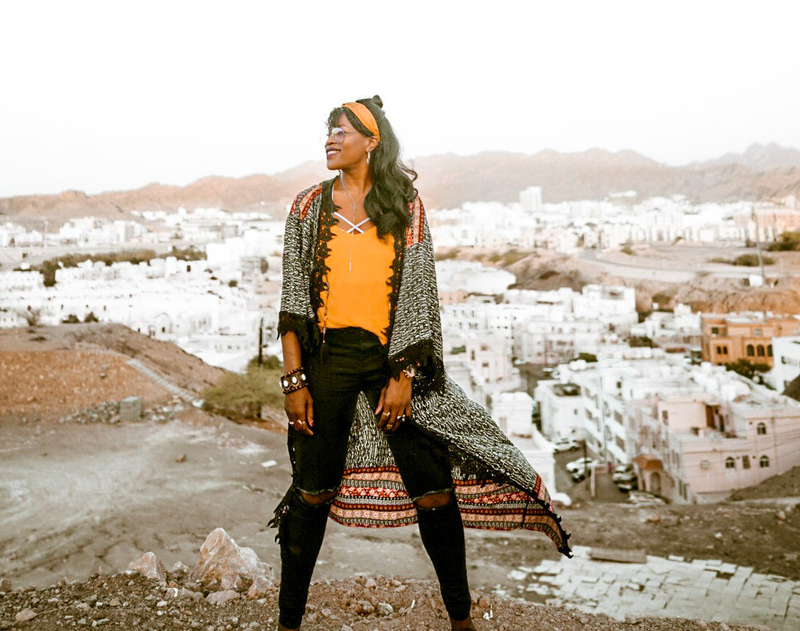 My social circle is pretty small and I’m quite jaded when it comes to meeting up with new bloggers because you can tell from a mile away which ones actually enjoy the storytelling and want to inspire others to travel, and which are looking for an endlessly funded vacation. They last about 6 months before they slowly stop posting, try to rebrand, or give up altogether. I’ve seen the cycle and turnover rate prove itself over and over again after a few years. I happily recommend and praise the work of others to brands I’ve worked with, because I see how hard they work, I respect their hustle, or they’ve never come to me asking for anything — Nas Daily, Hey Dip Your Toes In, Small Crazy, Jones Around the World, or Bobo & Chichi. Ironically, it’s the people who aren’t asking for anything that I will happily give information to, because they’re the kind of people you want to see do well. The thing is, people don’t respect the fact that it could’ve taken you several months to a year to build and establish a great rapport with the CEO or Marketing Manager of a company. But they think their 10-second DM plea should suffice. And then they go on to pitch their heart away, asking for the world, but having nothing to show for on their end. Bloggers in the past have used my name to try to land sponsors, pretend we’ve worked together in the past, or that I personally recommended I reach out to them. This isn’t my personal opinion — this is a sentiment many bloggers will say about themselves! You see, blogging isn’t something you study or go to school to learn about professionally. It’s essentially something that even the most unqualified person with a computer and internet connection can start doing. Because of that, the blogging world can get diluted with articles that try to scrap together half-coherent thoughts and they tag their bio with Travel Journalist and we collectively cringe from it. There isn’t a single accomplishment that validates or invalidates a blogger, and for this reason, I understand why brands struggle to collectively take us seriously. Have you ever googled a city for tips and stumbled upon a blog that hadn’t been updated for the last 3 years, yet their article had a title that applied to your needs, so you clicked anyway? After a couple paragraphs of poor grammar, awful sentence structure, and the most robotic tone known to man, you wonder how any of their brand could be sponsored in the slightest. There are few bloggers that I read and actually enjoy their writing because their tone is conversational, there are messages and lessons scattered throughout, or they just know how to tell a damn good story. Just to name a few: Lola Akinmade, Erin Outdoors, Adventurous Kate, The Blonde Abroad, Legal Nomads and Be My Travel Muse. Switching to the other side of the coin, there are a ton of brands who fall in love with the idea of partnering with a person, more than the data-driven results, researching their actual influence, or any pre-calculated ROI. When you think of Kim Kardashian (regardless of whether you care for her or not), she was truly one of the first social media influencers of our time. Brands were paying her millions just to have the association with her likeliness, because it made them look more prestigious or perhaps they wanted to look like they were doing well financially to be able to afford a collaboration with her. Some brands or hotels are quite clear about their regulations with influencers needing to have a minimum of 300,000 followers to be able to partner with them. So said influencer goes out and spends a couple hundred bucks to get that number, takes a few pretty photos to glisten up their account, and then bam, the dotted line is signed. A couple influencers have even gone as far to brag about scamming brands (again, I refuse to name them), but it just goes to show you that with enough free time, and poor research on the brands’ end, these kinds of practices are happening. Another part of the conversation that doesn’t get brought up is the fact that many, in fact, several brands also have inflated numbers on their Facebook, Instagram, and Twitter from buying fake followers or bots. You can go to some of these brands’ pages and see their 1,000,000 fans while their last shared post got a mere 25 likes. The ratio of engagement is so off, and they’re fooling no one. Whenever a brand emails me and I do my due diligence and research their company, their website, and then eventually, their social media accounts, if there’s the slightest sign or doubt of fake engagement, I say no. The company likely lacks integrity and just like followers, they’re looking for elevator results in a stairs-driven industry. While it’s arguable that nothing can be original anymore as we’re inspired by all the greats of our past, there are still extreme cases that many bloggers (myself included) deal with when it comes to other bloggers stealing our words [verbatim] copying and pasting entire blog posts onto their sites, or buying stock photos and photoshopping themselves in them, like the Singaporean instagrammer mentioned above. We’ve all read it before — exposure doesn’t pay the bills. As shiny, glossy, and exotic as you may try to market it, you mentioning our blog in your dormant newsletter to 300 doesn’t sweeten the deal. The number of solicitations I get from brands seeking entire reviews, social media mentions, or free promotion on my platform is almost as bad, if not worse, than bloggers seeking them for the same. There’s a company who is notoriously known for not paying their influencers the amount from the contract, or taking advantage of them because they are helping them “live their dream”. 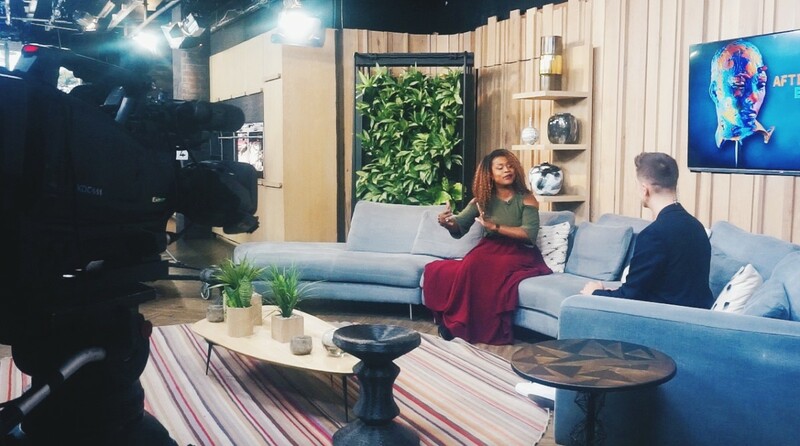 They prey on young people with incredible talent and exploit them to the degree that the person ends up broke and in a worse financial situation than when they started. Both parties should implement better practices and need to have a lesson in value, and how much of it they place on themselves and others. But that’s what happens when you’re in an industry where it’s basically a free-for-all. There are no one-size-fits-all blueprints on navigating as a new influencer or brand. That’s why I’m happy to have done and continue doing speaking engagements with brands and agencies allowing them to seek insight into the ways influencers operate, and how we can also better serve them. There’s so much give and take in this industry, but there needs to be a happy medium and most of all, mutual respect for what each is able to offer the other. Influence is people buying a passport because of a blog post you wrote. Influence is a hotel telling you that since your stay, they’ve seen an immediate spike in black guests who mention your name upon arrival. 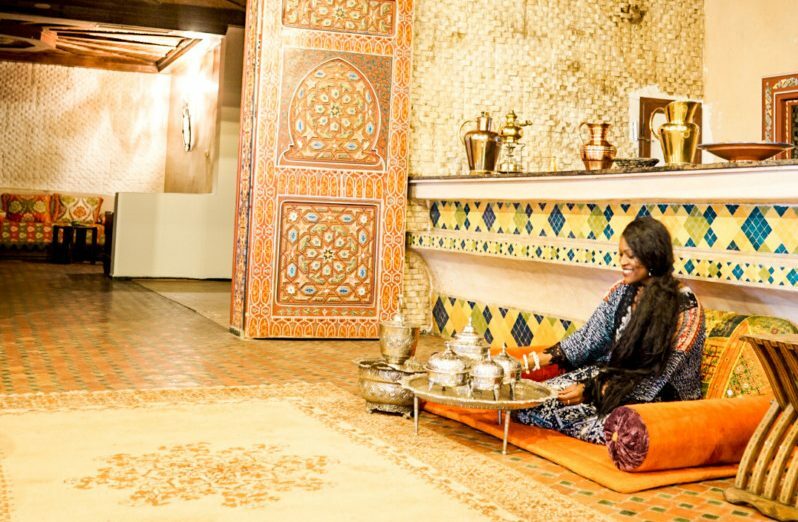 Influence is understanding that you hold the weight and responsibility to tell the story of a destination in a way that both captivates your audience, and also gives insight into how they can better prepare for their trip. You simply can’t deny that our generation and future ones are inspired by travel photos. We can’t control the amount of moochers and freeloaders infiltrating this business. But we can control the standards we set personally, doing our own due diligence, and maintaining integrity where possible. If you’re an influencer, the best thing you can do is keep receipts. Follow up after collaborations and ask for feedback, quotes, or any kind of constructive criticism. If the brand values you as a person or wants you to succeed, they will be honest about this, and it won’t damage your relationship with them. In fact, they will likely respect you more for it, and will be happy to recommend your name to others. Another thing I’ve been doing is compiling data, numbers, and commentary for brands post-collaboration. Putting all the details and stats on a pretty PDF thanking them for investing in your brand, and showing them that you delivered numbers to the best of your ability is a nice gesture that proves you’re equally invested in mutually-beneficial partnerships. If you’re a brand and have more questions about this, feel free to email me at GlobetrottinGlo@gmail.com. If you’re an influencer/blogger and you want some coaching so that you don’t have to resort to the cheap tactics, you can email me as well. And if you’re a consumer, or just someone on the outside looking in, I’d be curious to hear your thoughts on this. Some may have gone over your head, but I hope it added some clarity and depth to the influencer world. I’m aware that this is still such a new industry, but I’m excited about the potential for what it can become in a few years. Thanks so much for taking the time to read my thoughts [and rants] and more than anything, I hope this industry is able to quietly filter out the frauds so that the rest of us can continue creating content and sharing stories about the people and places we love in this world. Thanks for stopping by, and feel free to share the message! 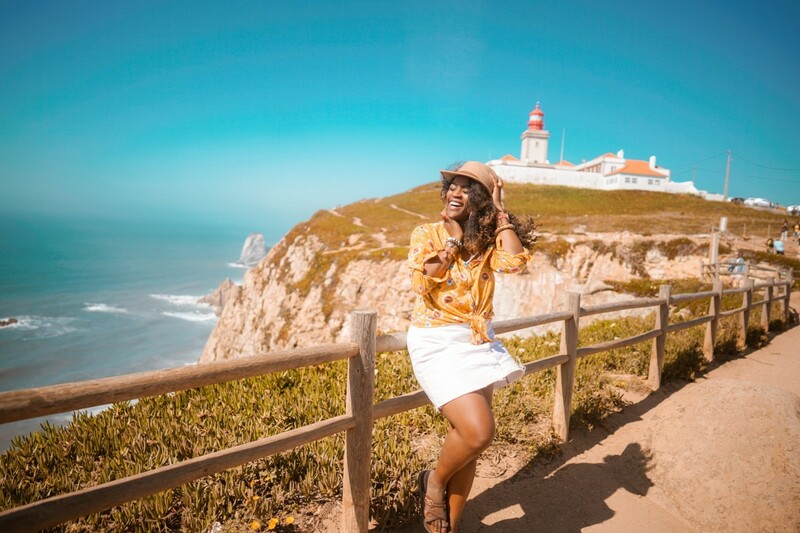 Previous post: Group Trips with Glo | Suggestions + Start of Portugal!